If you're surprised to hear that Sharp is still making smartphones, that's because the company is limiting the market for those products. But beyond just making phones, it’s also investing heavily into developing small OLED displays and the results of those efforts can be found on its latest flagship, the Sharp Aquos Zero. 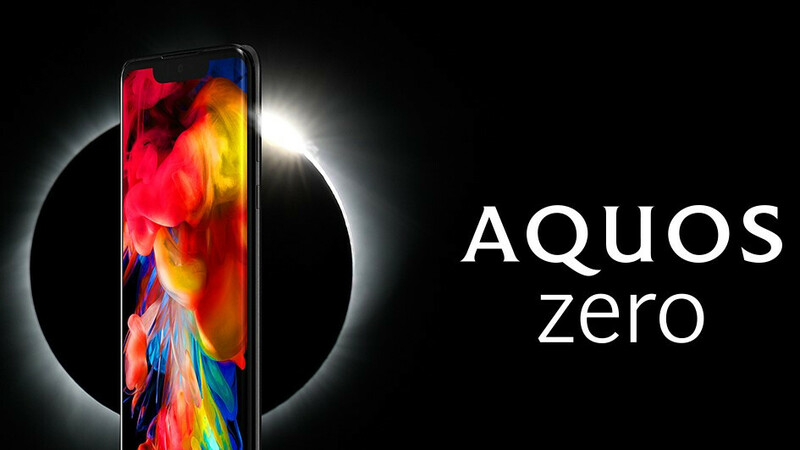 The Aquos Zero is equipped with the standard flagship internals: Snapdragon 845, 6GB RAM, 128GB Storage. We’re not going further into it, because it will be sold mostly in Japan. However, what’s most intriguing about the new device is its Quad HD OLED display. OLED displays are not a rare occurrence on flagship phones, what’s rare are the companies that can manufacture them. Until now, only Samsung and LG were able to deliver a significant number of panels (Samsung vastly outperforming LG), but with its latest release Sharp is adding some much-needed competition in the field. A Sharp spokesman said that the company hasn’t signed a contract to deliver OLED displays to another phone manufacturer yet. After investing more than $500 million in its OLED production, Sharp must be looking to land an order soon, so it can start making some of that money back. The biggest potential client for them is Apple. Currently, the majority of OLED displays on iPhones are made by Samsung, with LG making a small share as well. For obvious reasons, Apple is looking to break away from the Samsung dependence, going as far as investing in LG's production line, but the numbers are still heavily in Samsung's favor. This is where Sharp sees the opportunity to get involved, hoping to get a piece of Samsung's share. With Sharp’s OLED displays still new and unproven, Apple will likely take a while to make sure their quality is high enough to put on an iPhone, before it looks to make a deal. Sharp executives commented that overall the adoption of OLED displays has been slow, largely due to the cost, but they’re hoping that things will improve with more players on the market. While Sharp entering the OLED scene is good news for some, don’t expect flagship prices to drop as a result of it, companies would rather pocket the difference than pass the savings to their customers. However, we might see OLED displays trickle down to mid-range phones more often. Nokia is a traditional partner for sharp; we might see this partnership renewed. Add to the fact that Nokia outsources manufacturing to Foxconn, which owns Sharp, and this seems likely. Even if the OLED prices will drop it will not be reflected on the consumer, it will be more profit for the companies. Yes, Apple has opened the floodgates for $1.5k+ phones. Only a matter of time other companies will be aiming for those price tags. Hope it will have superior quality and quality control over LG panels. Small phones in general are on the decline. Companies make OLED displays at trending sizes ~6"
What company did sony order for their xz3 oled display? I thought they build their own bravia oled for their smartphone?